I was listening to the song 'I Want To Live' with my young son, one day. He said that it was a sad song now that John was dead. I explained to him that John wrote the song, not for himself, but for hungry children all over the world. He said that it was the cry of every new born baby. Later that day this poem came to me. Do not grieve for me - I lived. Make my dreams live beyond the grave. And when his children cry. That little one is mine." 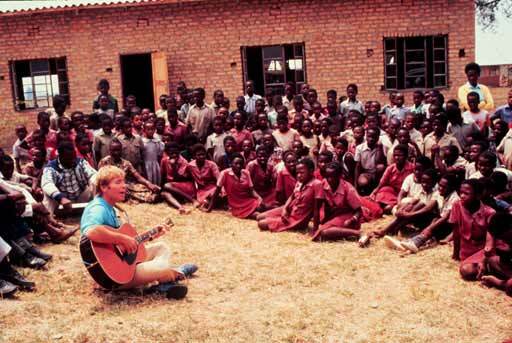 One of the causes John Denver was passionate about was the ending of hunger in the world. In 1979 he helped to found The Hunger Project. It was his ambition to end world hunger by the year 2000.